Training is usually blended, where faculty are in a traditional classroom but receiving online instruction. This training method allows the trainer to provide hands-on assistance and the instructor to practice using the online system. Faculty knowledge and skills are assessed during the training or immediately following. Faculty member are certified as “proficient” or “not proficient” after the training is completed. Faculty teaching online courses will have knowledge and skills of contemporary technologies and pedagogical techniques by participating in individual and group professional development activities. 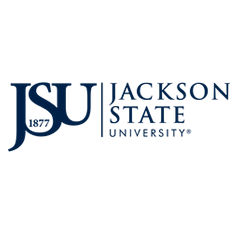 JSUOnline awards two certificates: (1) A Certificate of Completion and (2) A Certification of Participation. A Certificate of Completion denotes “proficient,” while a Certificate of Participation documents the faculty member’s participation in the training session. Registration for all workshops is offered on a first-come, first-served basis and space is limited. Complete Online Registration here. *Please note that faculty and instructors must complete the required workshops before teaching an online course.